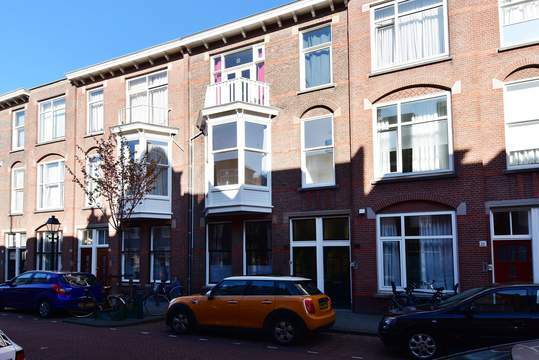 MODERN, TRENDY, STYLISH AND FULLY FURNISHED ONE BEDROOM APARTMENT IN THE "BENOORDENHOUT AREA". 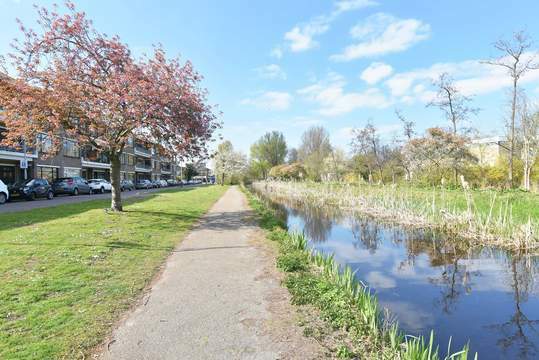 A PERFECT LOCATION, WITH SHOPS, PUBLIC TRANSPORT, CENTRAL STATION, THE HAGUE CENTER AND HIGHWAYS ALL WITHIN JUST A FEW MINUTES DISTANCE! Communal entrance, stairs to 3rd floor, entrance apartment, hall, bright and spacious living-/diningroom over the full width with acces to the small balcony. Kitchen with appliances (fridge, dishwasher, hob, combi-oven and extractor). Good sized bedroom at the back of the complex with acces to the large balcony. Bathroom with shower. In the hallway you will find the toilet with handbasin. Laundry in the storage on the ground floor.